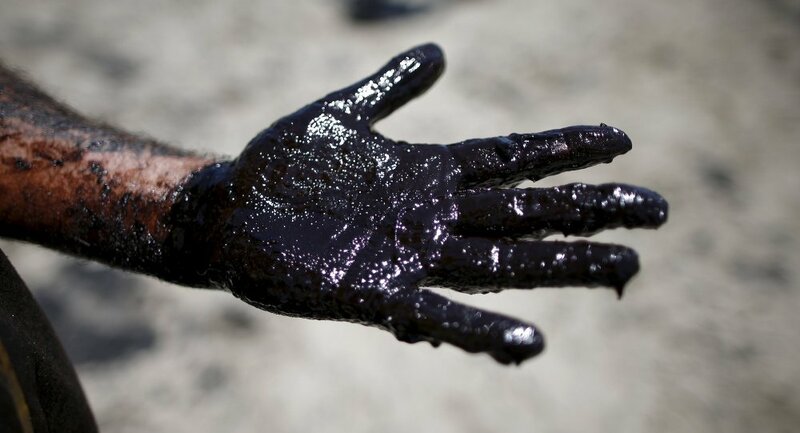 State-owned Empresa Colombiana de Petróleos (Ecopetrol) was trying to contain the oil spill caused by the blast on Tuesday of a section of the Caño Limón Coveñas pipeline in the rural area of Teorama (northeast). “We have activated the contingency plan after the attack in the rural area of Teorama (Norte de Santander) after the attack by groups outside the law,” Ecopetrol said in a statement. A crew of 45 workers was working on the site to contain the spill that has contaminated the La Llana creek and the Catatumbo river. On the night of September 4, the municipal administration ordered the evacuation of the neighbouring residents, but in the morning they were allowed to return to their homes, although Ecopetrol maintains the prohibition of lighting kitchens, bonfires, cigarettes or similar near the place of the oil spill. “In Ecopetrol, we reiterate the rejection of any illicit activity that puts the lives of the communities at risk and negatively impacts the environment; thus, we work for the environmental restoration in the La Llana creek and in the Catatumbo river, “the oil company said in its Twitter account. The company did not identify the name of the illegal group that committed the sabotage, but the police blamed the guerrilla of the National Liberation Army (ELN), which has a presence in the area. “This fact is attributed to the members of the ELN, who commit crimes in this sector of the Catatumbo,” said Colonel George Quintero, commander of the police in Norte de Santander, according to statements published by the newspaper El Tiempo. The official said that about 30 families have been affected by the pollution of the tributaries. The pipeline is 780 kilometres long and carries some 80,000 barrels of oil from the oil fields on the border with Venezuela to the Caribbean coast in northern Colombia. On a Trujilo Beach in Peru They Found a ‘Siren’ and Thousands Were Amazed to See It . Polar Vortex Turns Niagara Falls into Frozen Winter Wonderland.